You've had a long day, you get home in the evening and you just want to EAT. Sound familiar? This happens to me on a regular basis. That's why I like to have quick meal ideas up my sleeve so I can just make dinner without thinking. Steam-frying is basically like stir-frying but you use water instead of oil. You then cover the pan to allow the veggies to steam. Place salmon fillet on a foiled baking tray. Sprinkle ground ginger over the fillet and spread it out (using your finger) to cover. Place in the oven to bake for 15 minutes. 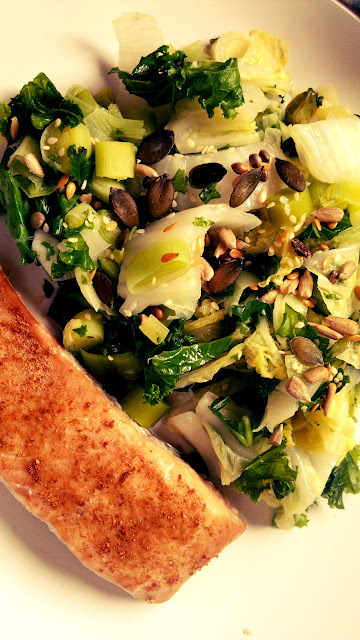 While the salmon is cooking, add some water to a saucepan and turn the heat on medium. 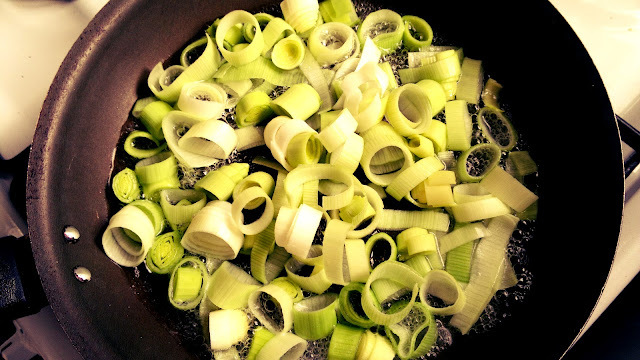 Chop the leek and add to the pan along with the crushed garlic. 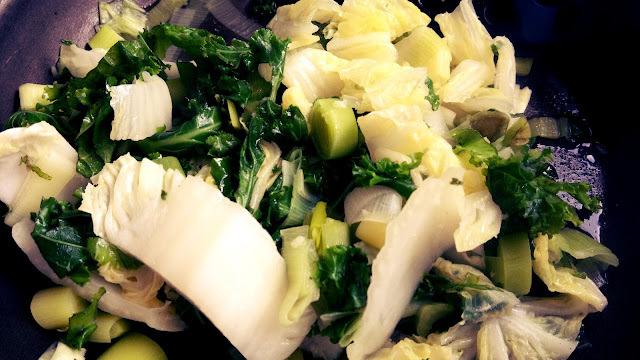 Cook for a couple of minutes then add chopped up chinese leaf and kale. Cover and continue to steam-fry for a few more minutes until all the veggies are soft. You may need to keep adding water, so keep an eye on it. Just add a little bit as you go. Turn the heat off the veggies and drain any excess water. Add a splash of olive oil and mix around. Serve it all up and top greens with a mixture of seeds (optional). Sol you are too kind :) thanks so much!